Giannis Antetokounmpo showed off his acting skills in a two and a half minute video for Greek airline Aegean, protothema.gr reports. The promotional spot shows the Greek Freak offering viewers safety instructions while the Milwaukee Bucks star appearing in a series of scenarios. The NBA pro appears on screen right after the video intro, as a stewardess asks viewers to pay attention to the safety instructions that follow. Giannis appears sitting in a seat in a big industrial area illustrating the usefulness of the safety belt before he walks into the next section of the large space where he sits down next to a group of elderly ladies doing some needlework, as the emergency oxygen masks drop down. With the voice of the stewardess in the background continuing to explain the instructions, Giannis proceeds to show how to fit the drop-down mask on our face. 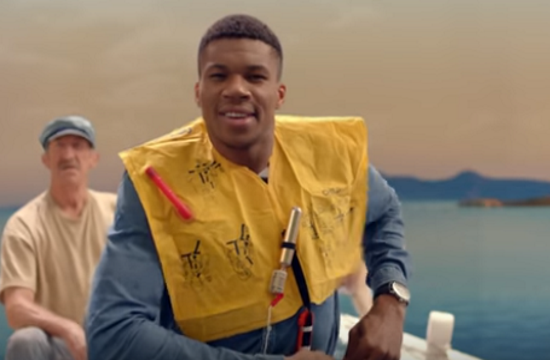 The scene shows the Greek Freak putting on his life-jacket vest if needed in the next part of the commercial. He illustrates to viewers how to wear and inflate the life jacket before descending from the boat that is in the huge studio set. In a matter of a few seconds, he finds himself in a winter decor, with snow coming down strong. In the next scene, he shows passengers the eight emergency exits on the Airbus A320 as he opens the doors of a wooden hut. He finally presents how to evacuate the aircraft in an emergency, the mobile and smoking instructions and the video ends with Antetokounmpo wishing everyone a safe trip.